Work included renovation of center driveway island. The existing island contained a beautiful bronze nymph sculpture sitting on a boulder base spilling off into a recessed liner pool. New features included construction of a new masonry pool with matching brick veneer and stone coping. 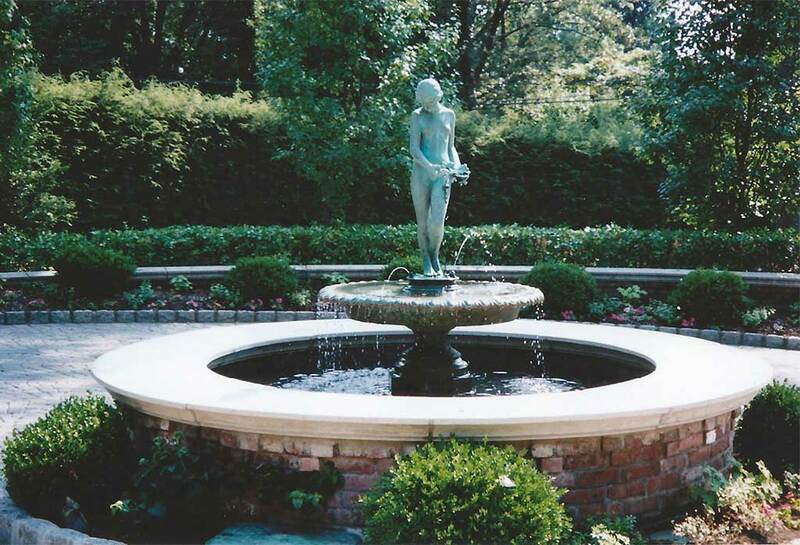 A matching bronze pedestal pool was included to provide a new home for the existing statue fountain.